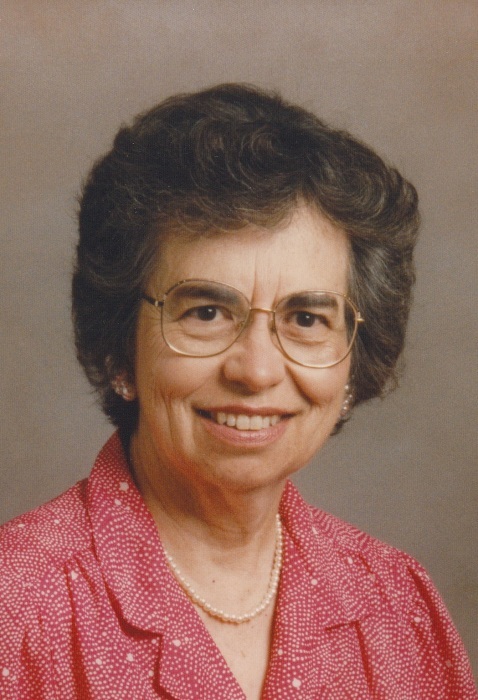 Naomi M. Reid, of Harpster, Ohio passed away on Tuesday, February 12, 2019 at Wyandot Memorial Hospital in Upper Sandusky, Ohio. Naomi was born in Columbus, Ohio, on December 28, 1929, to Ralph M. and Florence (Wenger) Howell. She married J. Frederick Reid on September 23, 1950, in Bexley Methodist Church, Bexley, Ohio, and, with whom she enjoyed a loving marriage of sixty eight years. She is survived by her husband Fred, children Barbara (James) Ellis of Wellington, Carolyn (Harold) Bernd of Little Rock, Arkansas, and Dan (Wendy) Reid of Upper Sandusky. She leaves behind seven grandchildren and ten great-grandchildren. A 1947 graduate of Bexley High School, Naomi graduated from The Ohio State University in 1951 with a degree of Bachelor of Science in Education. During her university years, she served as president of Kappa Delta Sorority. Naomi’s career beyond her family responsibilities, included teaching at Harpster in the Upper Sandusky school system for fifteen years. She took a special pride in teaching many students to read. Additionally, she took an active part in the establishment of the Reid Insurance Agency, in Upper Sandusky, Ohio, now owned by her son, Dan. She handled her responsibilities with dignity and enthusiasm during the years that Fred served as Chairman, President and CEO of Grange Insurance Companies in Columbus. Retirement years for Naomi and Fred have been at their Harpster and Upper Sandusky homes and their second home in Marblehead, Ohio. Naomi most enjoyed time with her family and personal friends. Her good humor, optimistic and always supportive attitude will be greatly missed by her loving family and all who knew her. Funeral Services will be officiated by Soo-Hea Park and will be private. In lieu of flowers, memorial contributions may be made to the Harpster United Methodist Church, Hospice of Wyandot County or Wyandot Memorial Hospital and can be sent to Lucas-Batton, 476 S. Sandusky Ave. Upper Sandusky, OH 43351.